Just before Christmas, we had the pleasure of drumming with a fantastic team from an Oxford based training and consulting company at the Hilton Hotel in Leicester. This was an event that particularly stood out for us, because there was such a strong transformation in the group during the session. Their reservations at the beginning could certainly be forgiven - after all it was a bit of a shock for some of them to be greeted first thing in the morning by three very loud enthusiastic drummers! But as soon as the main session started everything changed. They understood that they all had to create the rhythm and beats together as a team, and they very quickly embraced the whole excitement and energy if the session. 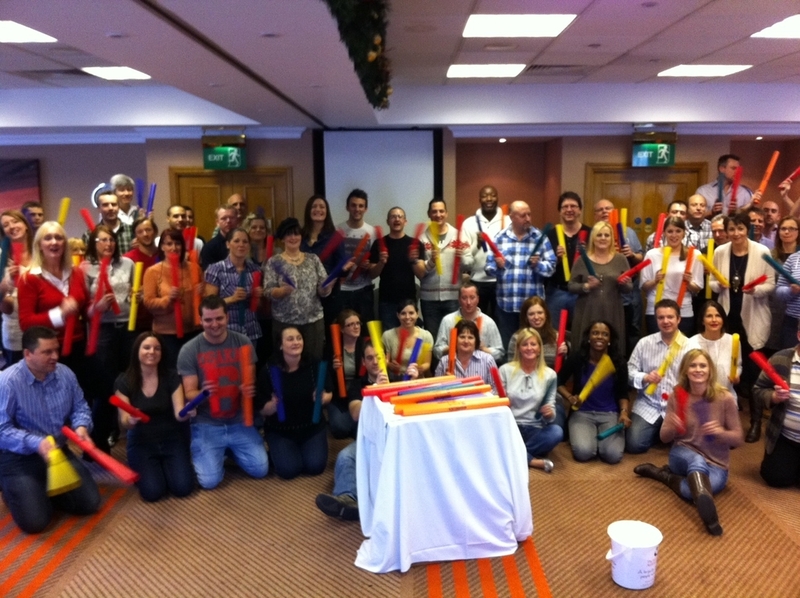 The final Boomwhacker session was absolutely amazing - everybody seemed to understand that they were connected with the rest of the team in creating the success of the music. As a result the rhythms became more complex by the minute - we certainly raised the musical skills bar for this group! What a great way to finish 2011!